We are in the middle of another day, and of course, we have yet another iPhone 7 leak of sorts that claims to give an insight into some of the features and functionality that Apple’s next smartphone could ship with this coming September. 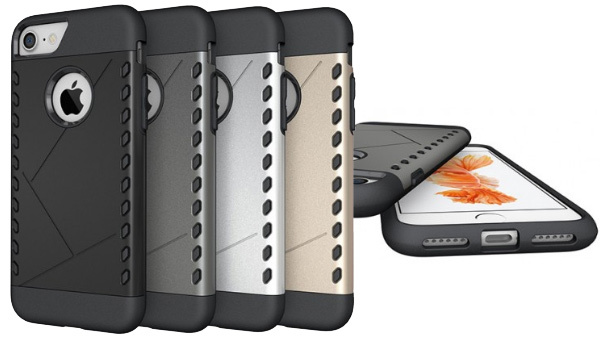 This time around rather than being purely an information-based leak, we are seeing a set of third-party cases that are purportedly working examples of what will be available for the iPhone 7 and iPhone 7 Plus when the hardware ships later this year. Rather than instantly blowing our minds and introducing the potential for additional discussion around a new feature, the cases seem to solidify what we already knew thanks to previous info and visual leaks. 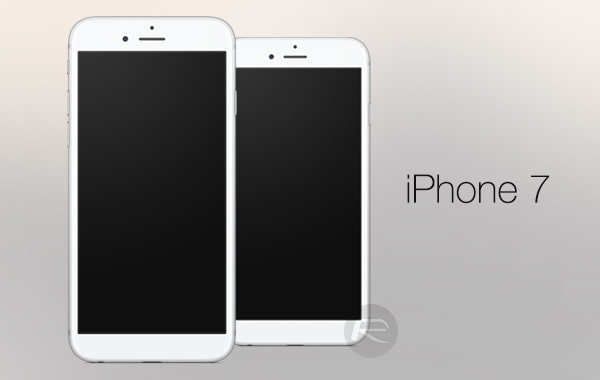 We’ve been privy to a number of iPhone 7 information and image leaks over the last few weeks. Some of those have been from documents or research notes from analysts and have merely been suggestions of what could potentially come. Some however, have been blueprints and schematics that give us a two-dimensional top-down view of Apple’s next iPhone. We’ve been able to concoct a fairly comprehensive understanding of what will be introduced in September off the back of these pots of information. These latest visuals however – as first spotted by 9to5Mac – give us a chance to view the cases for the first time with the expected amendments made. One of the first things that is instantly noticeable is that the 5.5-inch iPhone 7 Plus/Pro case features a larger than normal aperture on the upper left-hand side. This is to allow the expected dual-lens camera to sit comfortably alongside the LED flash and microphone cutout. The case contains the standard cutout that reveals the iconic Apple logo on the rear of the device, as well as having a dedicated aperture toward the bottom of the device that will give access to the integrated Smart Connector. Apple initially introduced the Smart Connector idea with the original iPad Pro, later followed in with the 9.7-inch iPad Pro. It is likely that the company is looking to bring the feature to other devices going forward. The bottom of the case is probably where we can derive the most satisfaction. As expected, the case doesn’t include any kind of access for the iconic 3.5mm headphone jack, meaning that it will likely be removed as expected. Additionally, rather than utilizing that new found space to include an additional speaker, it seems that Apple will be going with the single speaker solution as per the iPhone 6s. Moving onto the 4.7-inch iPhone 7 case, we can clearly see the enlarged camera aperture as has been rumored for a while. The Smart Connector is missing here, but it has been speculated to be exclusive to the iPhone 7 Plus, so this comes as no surprise. What does come as a surprise though is the stereo-speaker setup which we were sure would make it on at least the iPhone 7 Plus, if not both the models. The iPhone 7 also gets rid of the 3.5mm headphone jack altogether just like its slightly larger sibling. What you think? 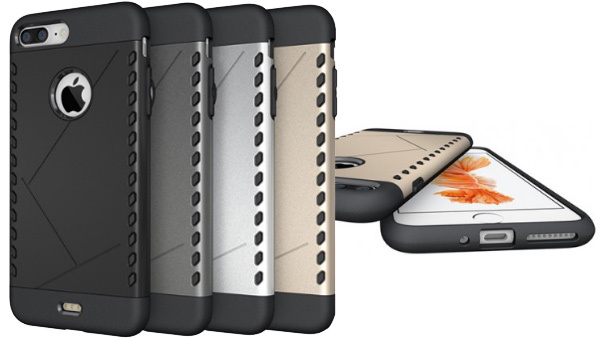 Do these cases fall in line with what you expect Apple to announce this coming September? What does the smart connector do? That’s ironic. You should then change your name to Sachin foolish. Because you do not do anything smart. That’s all you got? Just saying the exact same thing I said to you? Really? You really have no mind of your own. Yeah what Cesar said. Bad Sachin. I want to be able to charge my phone while listening to my music with a corded headset. Stupid stupid apple. I’m sure you’ll be able to do that. Don’t assume too much! How? I really hope so but if I have to use the charging port for headset then how am i going to charge it at the same time?